How do you make a room feel cohesive and beautifully designed while incorporating existing furniture pieces? This is a common question people have when seeking online interior design help. Often times, some key existing pieces are in place, but the room stills feel incomplete. 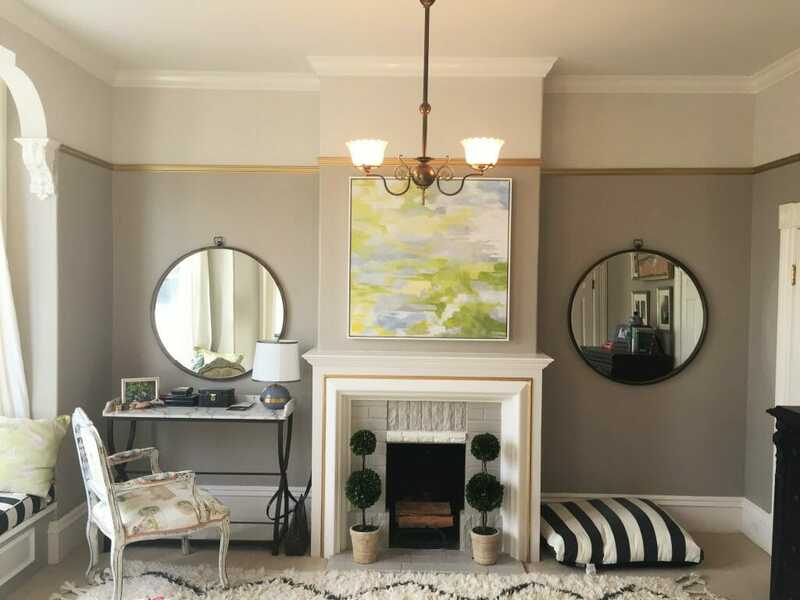 In a Victorian home with decorative molding and ceilings, a couple recognized they had pieces they liked but they didn’t seem to fit together. At a loss of “where to go from here”, they used online interior design service to get professional help. 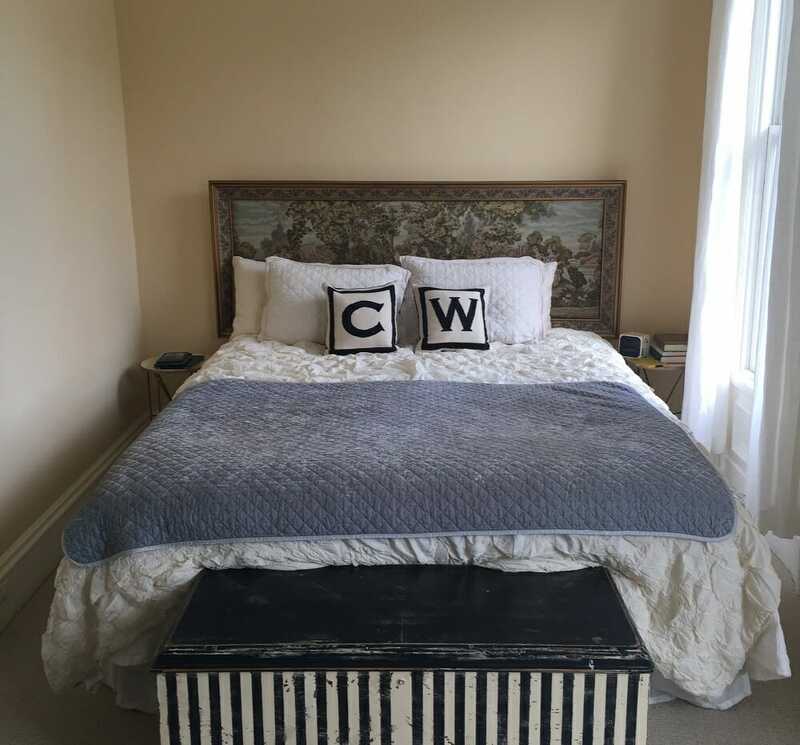 With images of existing pieces his clients wanted to incorporate (headboard, chest of drawers, marble console), online interior designer, Taron H, had a great place to start. 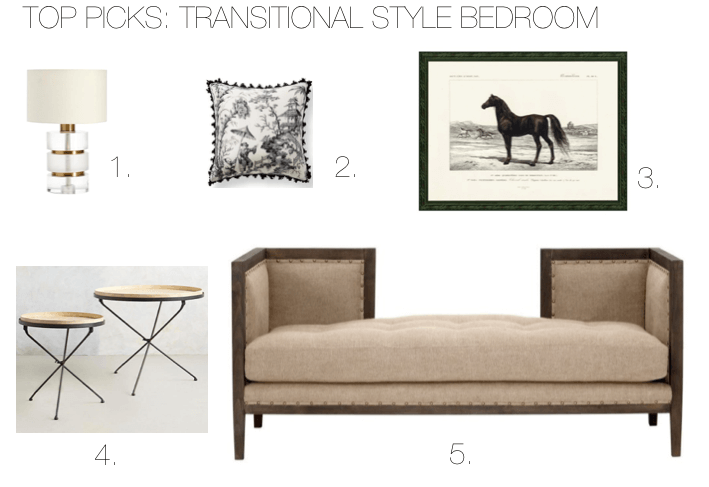 Additionally, he leaned on their preference for transitional style to create an overall look. 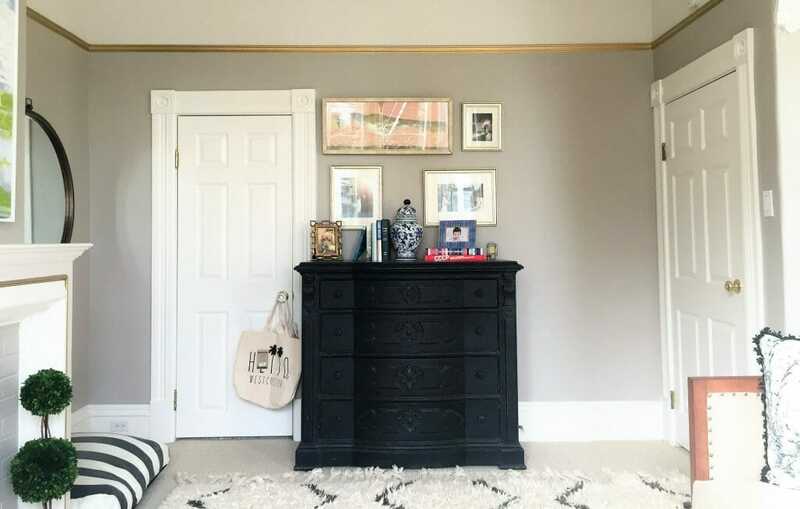 Sophisticated and versatile, Benjamin Moore’s off-white hue, Swiss Coffee OC-45, is the perfect wall paint choice for Taron’s online interior designer bedroom. 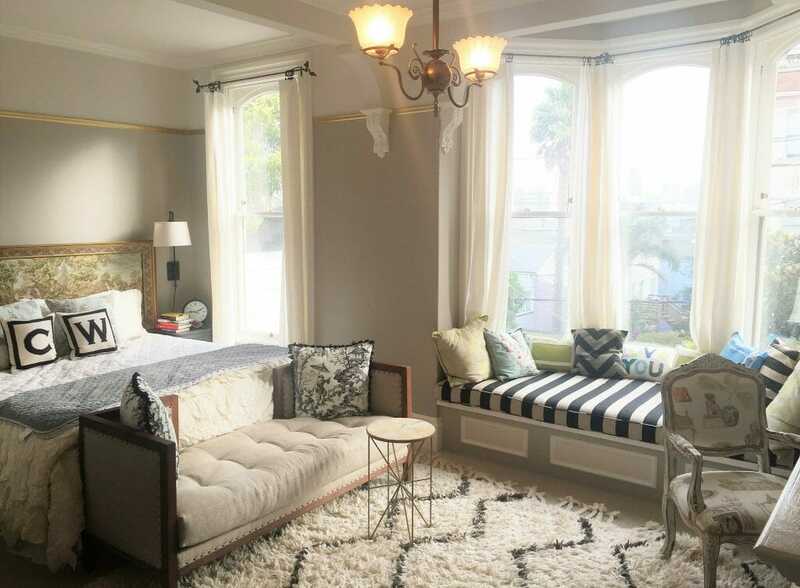 Soft pastel accents along with masculine striped patterns create a balanced and classic design. The clients’ headboard was an existing piece that evokes the traditional piece of the room’s transitional style. This became a helpful focal point as Taron’s concept fused elements of modern to get to just the right look. Wall sconces provide additional reading light needed. Their antique brass finish complement the existing classic chandelier. Taron’s initial selection for night stands were glamorous tow-tiered glass pieces. After receiving feedback that they needed ones with storage, he modified his selection to wooden ones with a single drawer. A bench seat cushion and accent pillows makes the most of the bedroom’s bay windows, typical for the Victorian architecture. The clients wanted to make the most use of the small console table they already had. By changing the position and adding a chair, it became functional as a vanity. Large round mirrors are both useful and add a symmetrical element to the space while reflecting light. Clean lines and a large abstract artwork above the mantel bring in modern touches to the style as well. Incorporating treasured pieces with new ones takes a skilled eye. 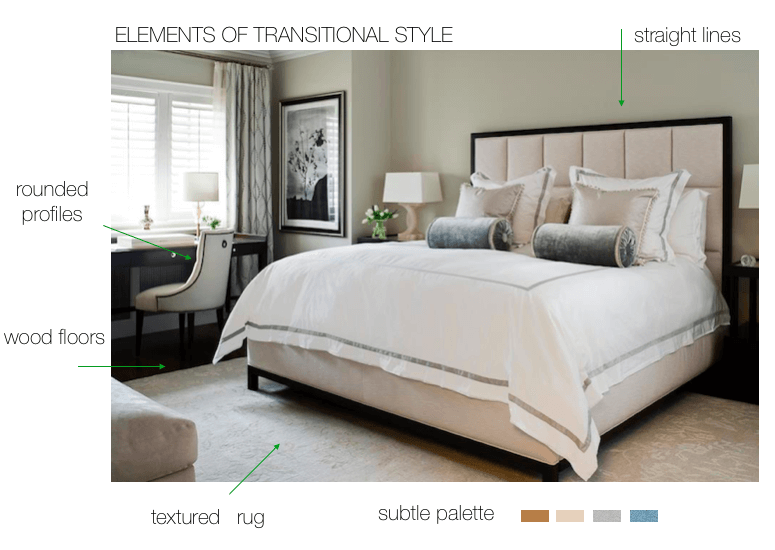 With a few changes and touches throughout the process, Taron’s clients got a transitional bedroom look that felt cohesive and stylish. 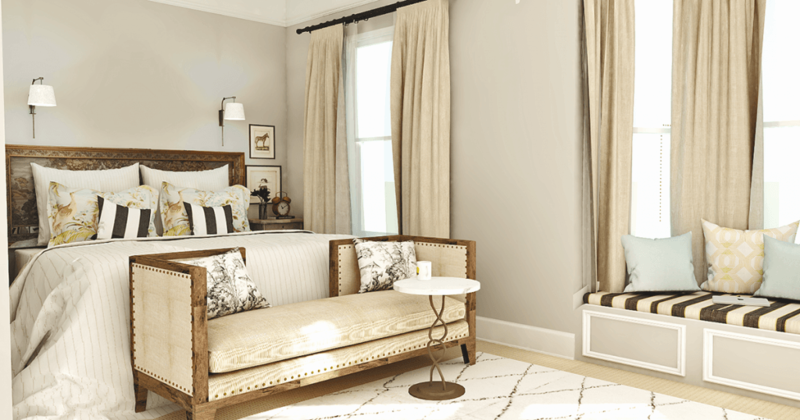 Inspired by this transitional bedroom transformation? Check out our online interior design service now to get proposals from multiple professional designers and a beautiful, spatially functional design.